The great weather is not the only thing why we enjoy this season. But the summer also provides the jam-packed schedule of Atlassian events in all parts of the world. It is a great chance to meet different Atlassian community members, learn more about the latest trends in the Atlassian ecosystem, share the knowledge about the best solutions and approaches, and just have fun together. We already told you about our unforgettable journey to the first European Atlassian Summit in Barcelona and invited you to join us at catWorkX Midsummer Day in Hamburg. Last week we visited one more Atlassian event in Hungary. It was held by Meta-Inf. 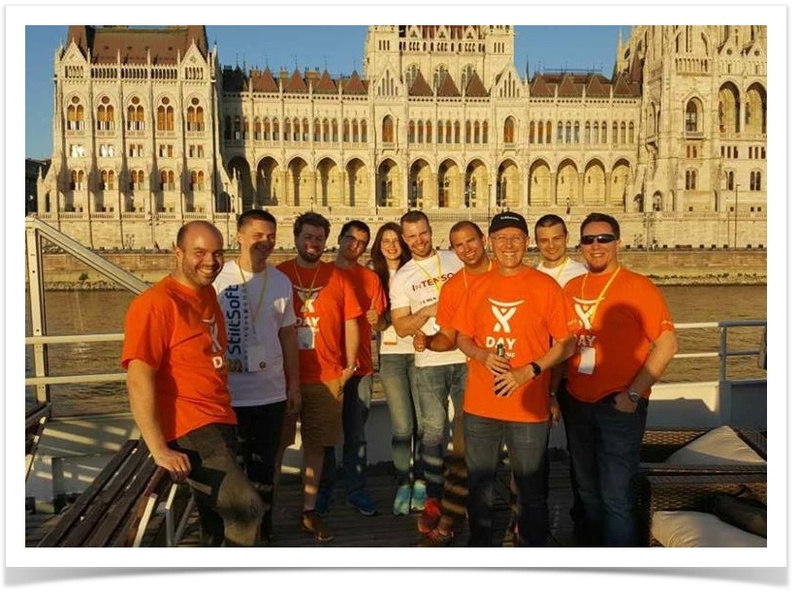 This Budapest-based team of Atlassian Experts provides consulting, support, training, and add-on development services. They organized Meta-Inf Atlassian Day the second time in a row. This conference is a combination of presentations and workshops delivered by Atlassian Experts and enthusiasts who want to share their Atlassian experience with others. It was interesting, informative, and… Hungarian Most of the presentations were in Hungarian but every English speaking participant had a chance to ask questions and discuss all the details during one-on-one sessions afterwards. Our company presented our best add-on solutions together with four more Atlassian vendors: Intenso and SoftwarePlant from Poland, Riada from Sweden, and EazyBI from Latvia. The organizers did their best to diversify the content of this two-day event. All the speakers shared their best practices of using JIRA and Confluence and presented some real-life use cases. 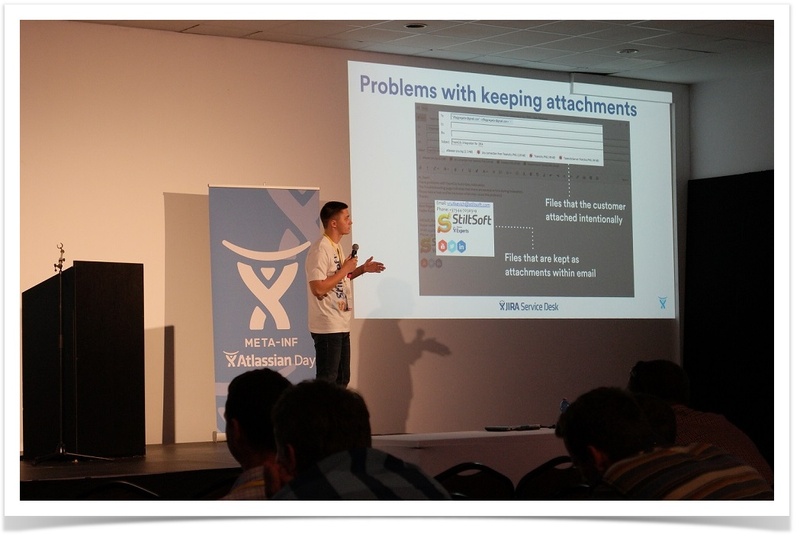 StiltSoft prepared a presentation called ‘Managing Attachments in JIRA Service Desk’ for the fist day. Our business analyst Vadim Rutkevich showed the main problems anyone may encounter while managing attachments in JIRA and presented the capabilities of Smart Attachments add-on to enhance user experience in JIRA Service Desk. It helps you to keep your attachments in order, perform bulk operations, have a full revision history for your documents, and use many other useful features of this add-on. The first day ended with a networking party during a spectacular river cruise along the Danube River. We were having quick talks with other experts and visitors in an informal setting, shared our experience in interaction with our customers, and, of course, enjoyed the amazing sights of Budapest. StiltSoft ran a workshop on project management and analysis in Atlassian Confluence at the beginning of the second day. We had a full house and once again want to thank all of the participants for coming. We wanted the attendees to find the best way to manage their project-related data in Confluence. Everyone had a chance to solve the suggested challenges in real time with the help of Table Filter and Charts add-on. The participants who visited all the stands of the Atlassian Vendors at the event collected the stickers and automatically took part in the lottery from Meta-Inf in case they received the stickers from all vendors. We also prepared pleasant surprises for the participants of the lottery: a one year license for Smart Attachments add-on for JIRA and a one year license for Table Filters and Charts add-on for Confluence. We hope that the winners will enjoy our products! We believe that participation in such Atlassian events is a great opportunity to come together with wonderful people who share the same ideas and objectives. We want to thank Meta-Inf team for inviting us! Meta-Inf is a vivid example of people who love what they do and enjoy every moment of their work. 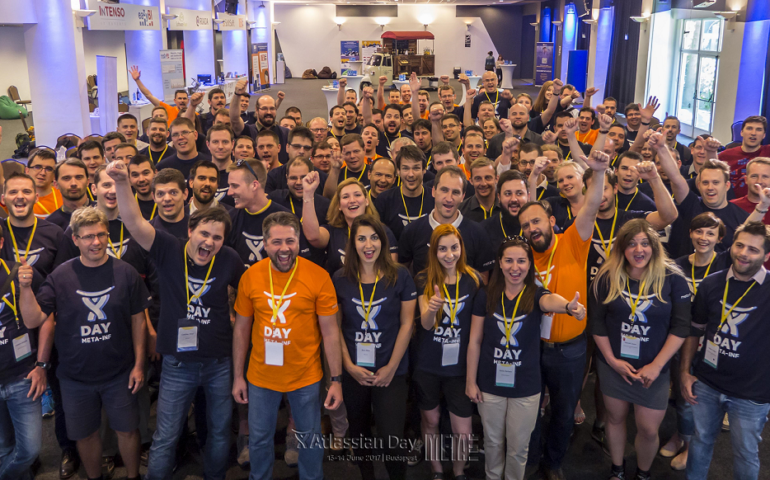 Meta-Inf promised that Atlassian Day in 2018 will be even better by far and, of course, we hope to see it with our own eyes. Seems that we have enough time to level up our Hungarian!